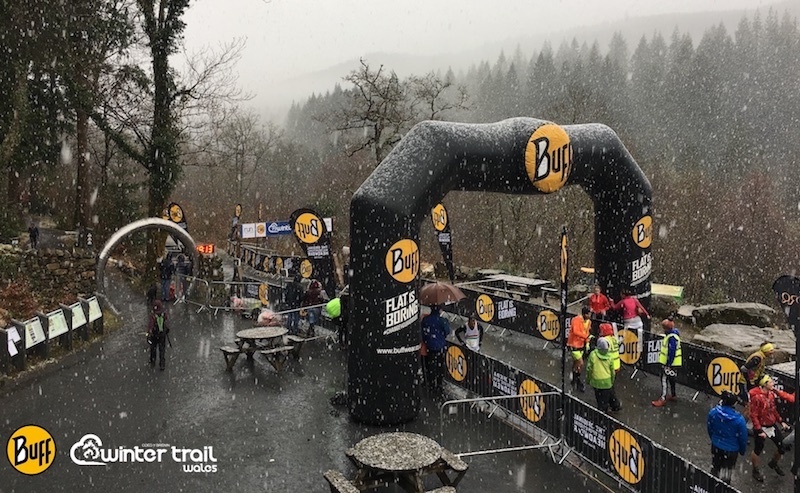 Almost 600 runners descended on Coed y Brenin last weekend as the 2018 Buff Winter Trail Wales took place hosting a record number of entries in cold, wet and snowy conditions. 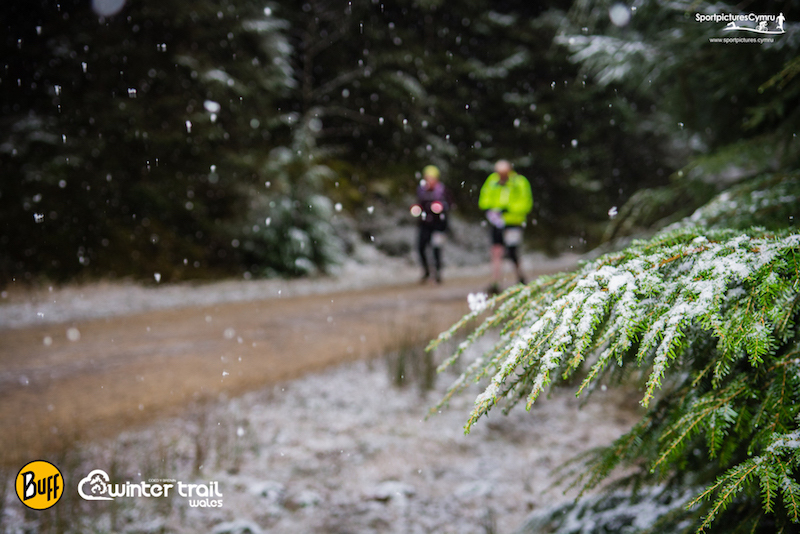 Advertised as the ‘summer’s best trail half – in winter conditions’, the weather didn’t disappoint as Coed y Brenin awoke to a morning of rain, with snow showers forecast. 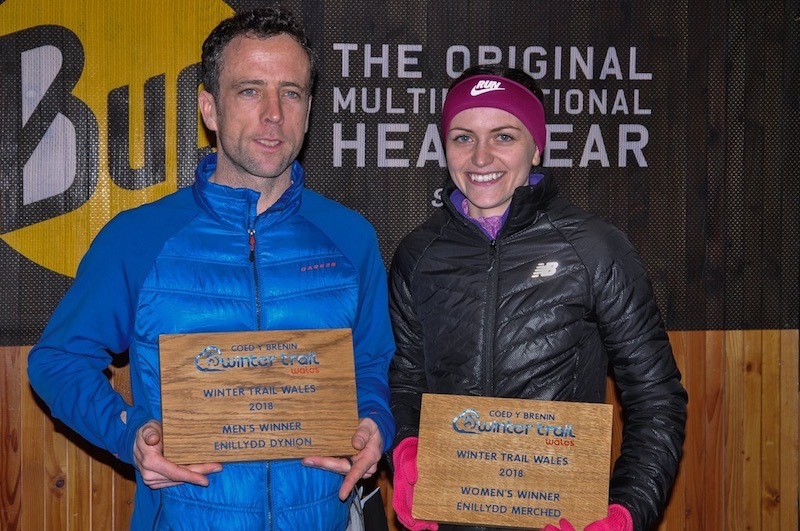 However, this did little to dent the spirit of the runners who had traveled from across the UK to take part in the fourth annual edition of this fast-becoming classic winter trail half marathon. 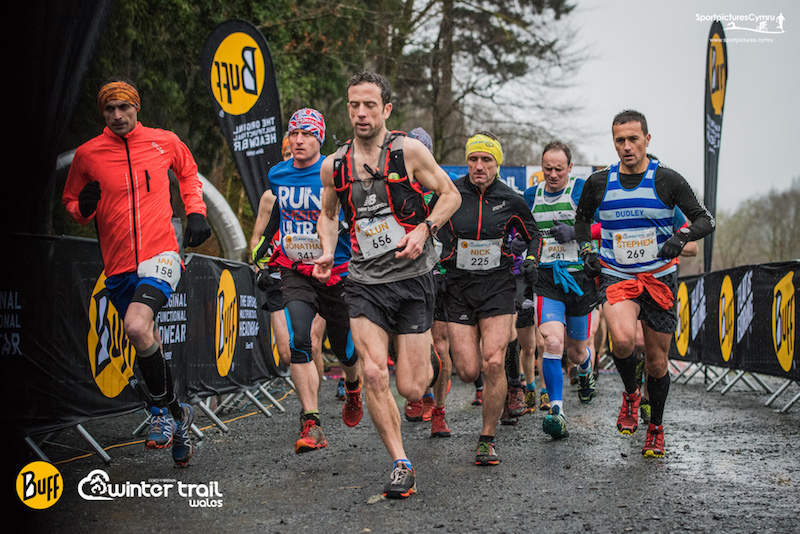 After an unsettled few weeks weather wise in the region, hopes of perfect underfoot conditions were slim and gloopy trails were to be the order of the day with many runners wearing full kit for the event. 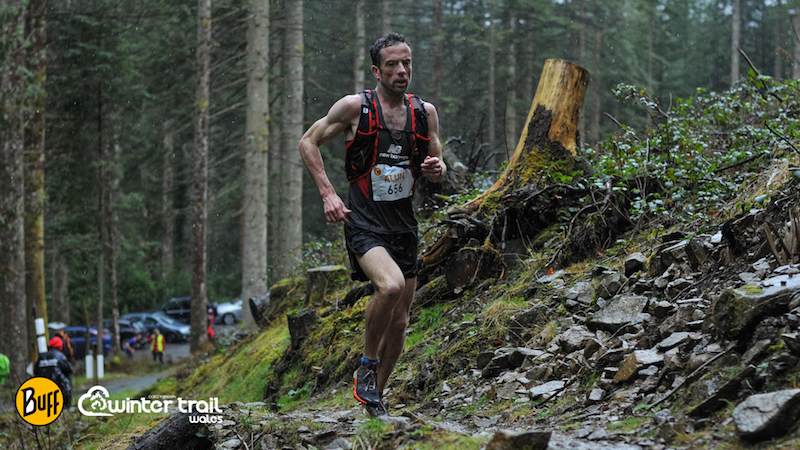 The race route is just part of the fantastic offering that Coed y Brenin now has in terms of trails for runners. 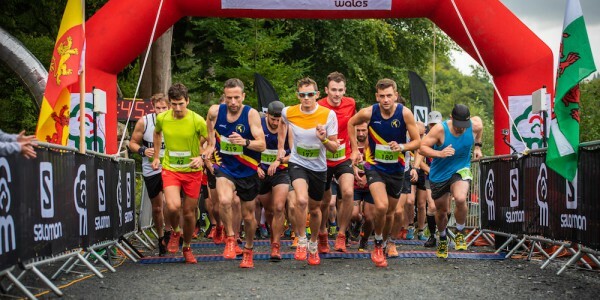 The estate is managed by Natural Resources Wales and the stunning Half Marathon route is just one of 5 trails tailored to trail runners needs. As the runners headed out at the customary 10.30am start, the air of camaraderie which is synonymous with Coed y Brenin was very apparent. 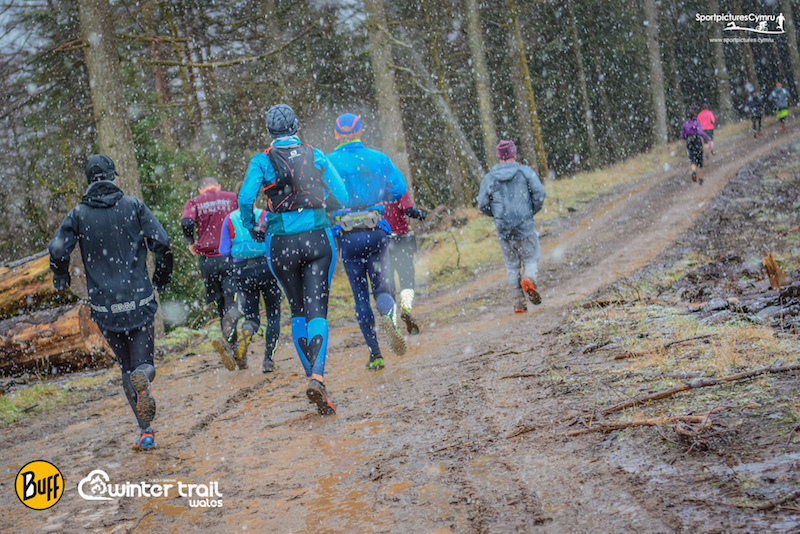 Runners clapped, danced and waved their way out for the visitor centre with a muddy, wet and chilly 13 miles lying ahead of them. Alun Williams had been touted as one of the race favourites in the build-up to the event and as the race got underway the local runner hit the front, along with MDC’s Dave Lawson. The two Welshmen established a comfortable lead as they hit mile three and began the long descent to the Mawddach river bridge. In behind was 2016 and 2017 Lakeland 100 winner Mike Jones. 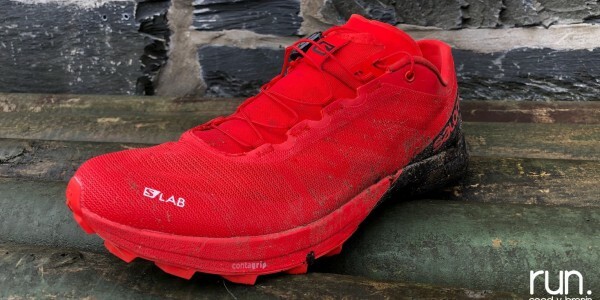 The Salomon UK athlete was using the race as a build-up event to the upcoming 3 Peaks ahead of his foray into Europe for a season of ultra races. As the race wore on there was nothing separating Williams and Lawson as they duked it out through the single tracks and forest roads of this famous forest and as they hit the super-steep Sting in the Tail at mile 11 they were still locked in battle. Lawson (1:32:24) could feel rightly proud of his race, and looked satisfied with second place, though possibly knew how close he had come to the win as this prestigious race. “It was a great race with Dave and I wasn’t sure I could win until the last 400m. The weather was so cold out there and I couldn’t feel my arms after the race, I’m just beginning to warm up now! 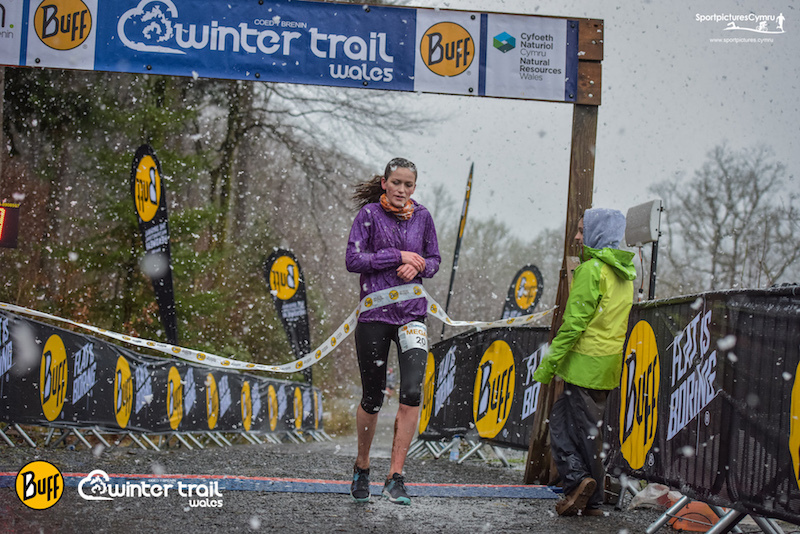 The women’s race saw a huge battle as 2017 Winter Trail Wales winner Sian Lloyd Williams was back to defend her title. 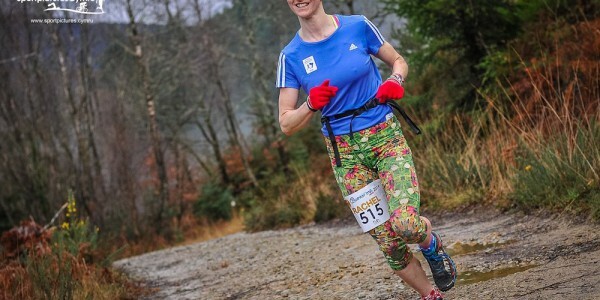 Liverpool Harrier Megan Ball came into the race with a background of road and cross country running and was making her first visit to race on the trails of Coed y Brenin. When measured up to Williams’ mountain and trail pedigree, few would have favoured Ball versus the Welsh international, however as the race entered mile 6 it was clear that Ball was a big contender and more than a match for Williams. For the next 7 miles the two women battled hard, as Ball stretched out on the flatter, faster sections and Williams used her descending prowess on the downhills. With less than one mile to go there was merely 5 seconds separating them and it was only in the 300m run-in that Ball began to dominate, pushing hard and opening up a 50 metre gap as she crossed the line in 1:45:31. Hebog runner Williams crossed the line 24 seconds later, exhausted, but satisfied with her run after a period of what she called “not a lot of running“. For Ball, this was a breakthrough win and could be a springboard to even greater things on the trails. South Wales runner Faye Johnson was 4th in 2017 and went one better in 2018 to take the final podium spot, visibly delighted as she crossed the line in 1:48:35. 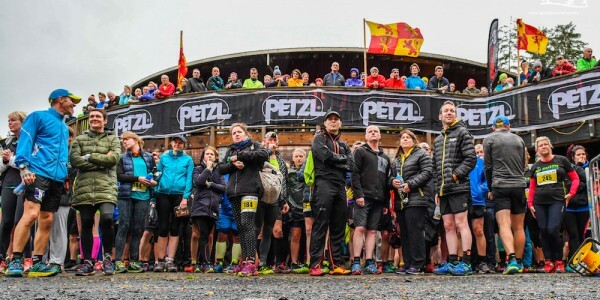 Within the event for the first time was a timed section of around 500m on one of the toughest sections of the race, the notorious Sting in the Tail. The Alan Lewis King and Queen of the Sting awards were commissioned in memory of long-time Run Coed y Brenin events member and marshal Alan Lewis, who sadly passed away in 2017. It was simple – the fastest man and woman from the bottom to the top would take the prize. For the women it was Johnson, who flew up the climb in 5:06. Chris Perez took the men’s award with a very swift 4:43. 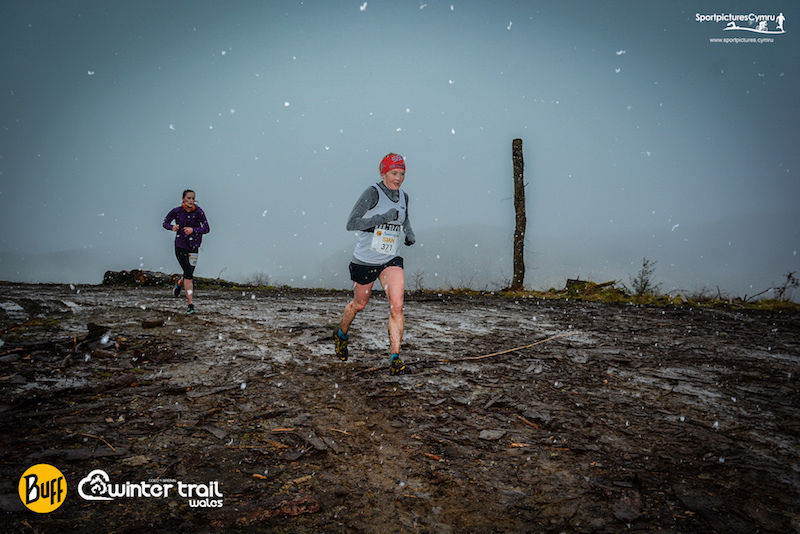 “There was some great racing out there today, and the snow showers made for some superb images by our photography team from Sport Pictures Cymru. A big congratulations to all of the runners, they were amazing, and the amount of smiling faces as they crossed the line was inspiring. 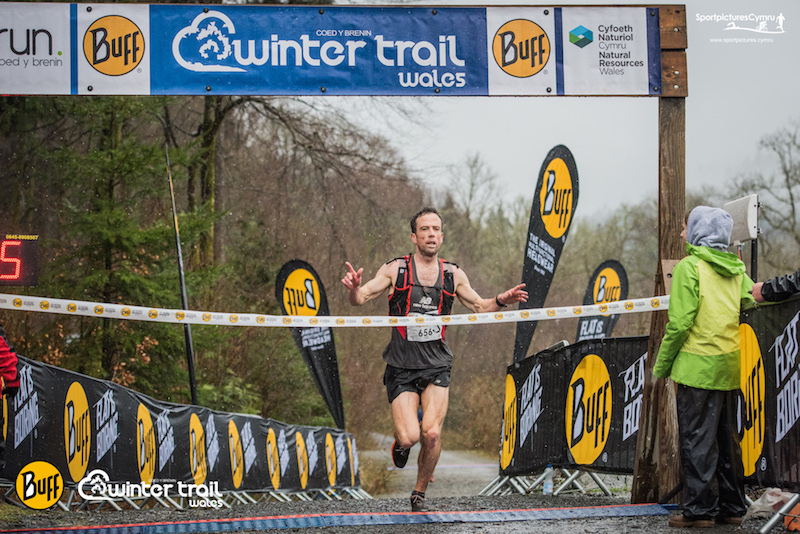 The 2019 Buff Winter Trail Wales race will take place on 19th January with entries live on October 1st, 2018.